The Flanders poppy of Great War! 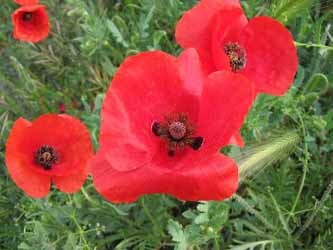 The red poppy immortalized in the wartime poem "In Flanders Fields" and now a prominent symbol of Remembrance Day. Its seeds are delicious on cookies, breads, rolls, and cakes, adding texture and a mild nutty flavour. For a special treat try adding seeds to buttered noodles!